My husband wanted to grill out for Father’s Day, so I was looking for a great sweet treat to accompany our T-Bone steaks. 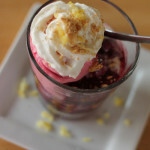 Chef Gail Simmons has a fantastic Bumbleberry Pie Sundae recipe that I wanted to test out. 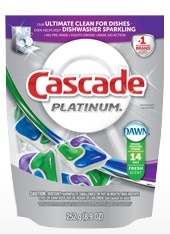 I love summer entertaining, but I must admit that before using Cascade Platinum pacs I was always a little worried about how sparkling my dishes would come out. In fact, I would often hand wash and dry small glasses, wine glasses, and entertaining dishes and silverware because I was always worried about the water spots. I don’t have to worry about water spots with Cascade products, so all of that extra time can now be spent catching up with my friends rather than worrying about spots on my glassware. Don’t forget to stop by the Instagram contest and link up your Platinum Bite. When it comes to summer recipes, what type of ingredients do you like to use? 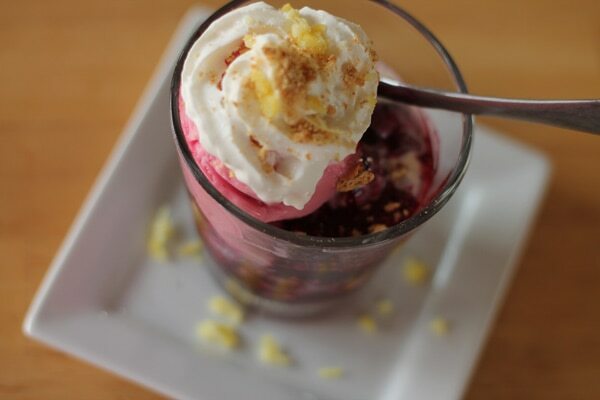 We love both ice cream and berries in my house, so naturally, this sundae was a hit! Meanwhile, in a medium bowl crush 3/4 cup of mixed berries with remaining 2 tablespoons sugar using a fork, until slightly chunky and loose. In a large bowl or stand mixer, using a balloon whisk or hand-held mixer, beat the cream at medium speed until soft peaks form. Gently fold the crushed berries into the whipped cream. Refrigerate until ready to serve. Do you have any great summer recipes planned?